On this week’s Interchange podcast: Tesla throws its weight into Australia; storage puts up a fight against gas peakers; and New York still can’t figure out how to support batteries. Tesla builds a record-breaking battery at record pace. But at what cost? 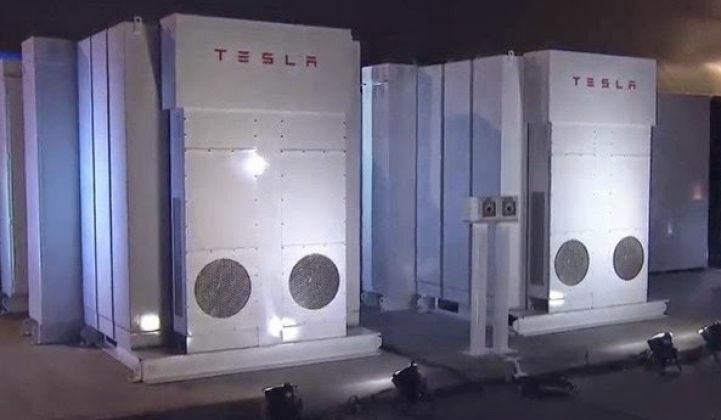 Tesla built the world's biggest lithium-ion battery ahead of schedule. It's an important milestone for the technology, and for Tesla itself. But is it coming at a cost to smaller players in the industry? This week on The Interchange, we'll talk about how Tesla's battery supply constraints are hitting downstream installers and developers. We'll bring GTM Staff Writer Julian Spector on the show to discuss his recent reporting on Tesla's delivery delays. This podcast is sponsored by Schneider Electric. Now, you can reap the benefits of a microgrid with no upfront capital through the new microgrid-as-a-service business model from Schneider Electric. Find out how it works. Tesla Fulfilled Its 100-Day Australia Battery Bet. What’s That Mean for the Industry? NRG Asked to Suspend Its Controversial Gas Plant Application. What Does That Actually Mean? Can Batteries Displace Gas Peakers in South Australia’s Fast-Changing Grid?